If you were to take a snapshot of my business this time last year and hold it up to Elle & Company today, you wouldn’t think the two were related. 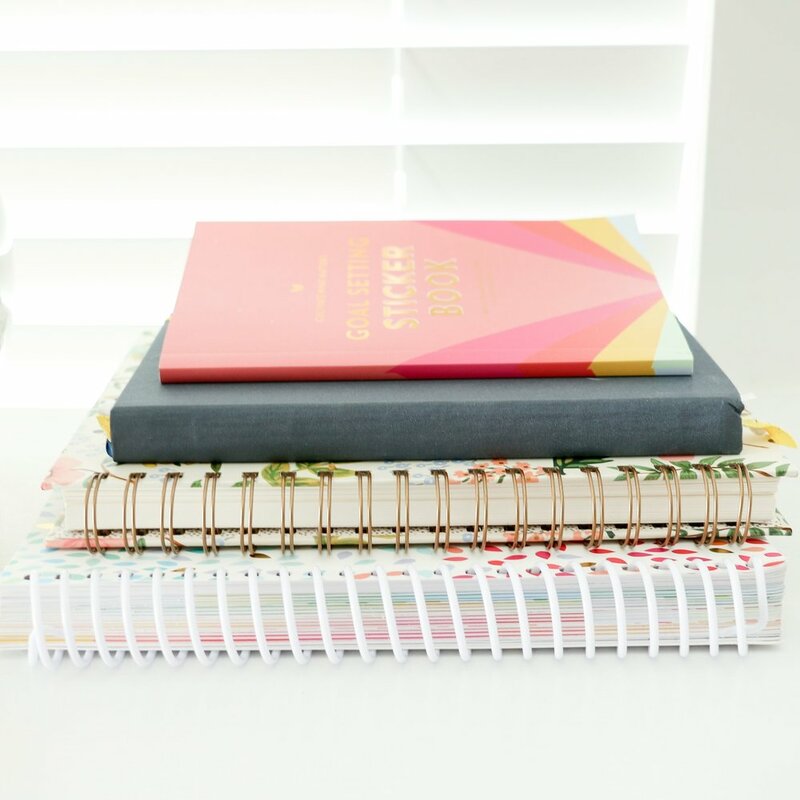 In August 2014, my business was hardly profitable, my blog content was a compilation of anything and everything that interested me, and I was looking to other creatives in my field to determine my definition of success. Thankfully, my business-minded husband, Jake, came on board and brought in strategy last summer, and his insight and wisdom transformed my business for the better. He helped me set bigger goals than I had ever considered for myself and came up with actionable steps to help me get there. And once we implemented those steps and strategies, my business began to grow exponentially with each new month. 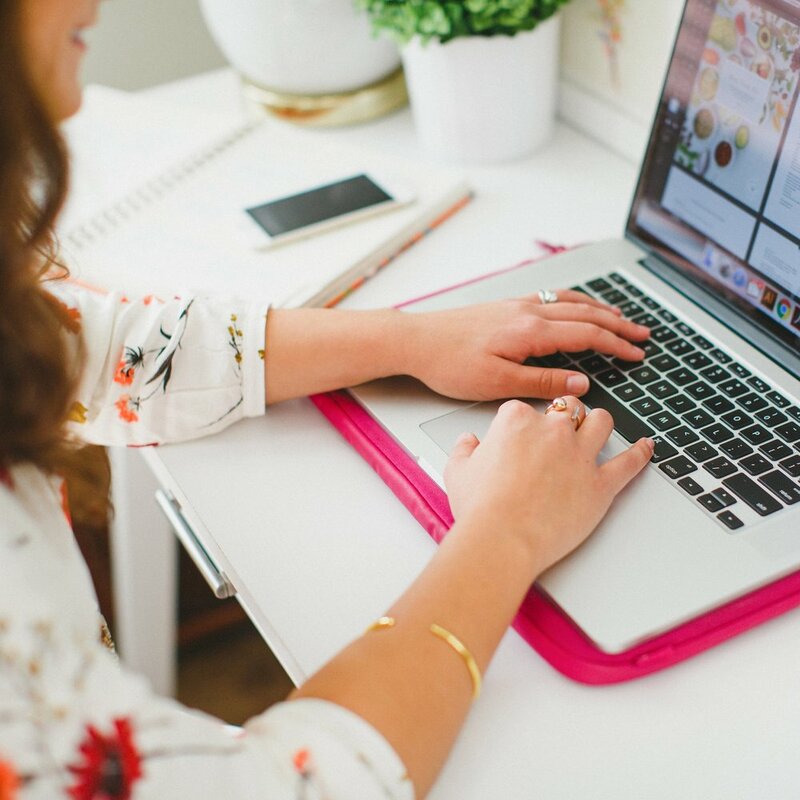 I’ve heard from many of you who feel stuck on how to take your blog or business to the next level, so I’m here today with a look at the practical, actionable goal-setting strategies we used to grow Elle & Company. This isn’t a lofty, flowery post to inspire; there are plenty of posts like that out there already. This is a post to encourage you to think bigger and become more strategic with your blog and business. Why did you start your business? Was it to turn a hobby into a day job? Was it a way to bring in an income and stay at home with your children? Did it stem from a concept that you knew could help people in some shape or form? I started Elle & Company because I loved design and desired to be my own boss. I wanted to take on the projects I enjoyed and work with people I enjoyed designing for. I also dreamed of working from home (or the coffee shop), setting my own hours, and having a more flexible schedule. For most of us, we start with passion of some sort. We really love design, calligraphy, photography, nutrition, writing, consulting, creating, etc., so we set out to pursue our trade full-time and enjoy the thought of being able to work for ourselves. And while passion usually gets you started, it isn’t enough to run a successful business. You need a plan. If you look around at the most successful business owners, they think about things differently. They could (and do) take on business ventures in other fields and usually have a great amount of success, even if their business ventures are completely unrelated, because they have a different mindset. They’re strategic, intentional, and they’re smart about the goals they set. Take Sir Richard Branson, for example. His first venture was a record business he ran from a church in the 1960s. At the time, he also ran a magazine where he interviewed several big-name celebrities - like Mick Jagger - and advertised popular records, and his business became an overnight success. Because he was all new at business, he named the record company “Virgin” and sold records at considerably less than his competitors. While he was gifted and knowledgeable within the music industry, his business wisdom allowed him to excel and expand. Virgin eventually became a brick and mortar shop, a record label, and a recording studio. But instead of keeping his ventures within the music industry, he began to branch out and had success in other industries. He has since had an airline company (Virgin Atlantic Airways), railway business (Virgin Train), a wireless company (Virgin Mobile), a space-tourism company (Virgin Galactic), a comic/animation company (Virgin Comics), and a global science and technology company (Virgin Earth Challenge), among others. Am I encouraging you to be the next Richard Branson? Maybe. But even more so, I want to stress that while your trade is important, your mindset and strategy are crucial. So instead of focusing all of your time and energy on your trade, concentrate on becoming more business-savvy. Creativity isn’t only applicable to your field; it’s also applicable to how you run your business. I was guilty of setting goals for myself based on what others in my industry were already doing. Thankfully Jake wasn’t a part of the design world or familiar with any my peers, so his insights and ideas for Elle & Company were very different from anything else I had seen others implement in my field. Instead of writing the same blog content that everyone else in my niche seemed to be sharing - inspiration round-ups, short recaps about my personal life, cute outfit ideas - I began to share content that would attract and benefit the clients I wanted to work with on design projects. Instead of following the design process that others in my niche seemed to be implementing, I created a 2-week system that worked better for me and set me apart. Elle & Company growth started with that original shift in perspective and change of mindset, and it became even more distinct when I stopped looking to others for inspiration within my business. Do you set goals for yourself based on what everyone else is already doing? Or are you willing to go out on a limb and do something that hasn’t been seen before? If you’re relying too heavily on what’s already been done, you’re always going to be one step behind. But if you put in extra work and creativity, your business will be the one that everyone else strives to emulate. Because I had based my standard of success off of what I had already seen in my field, the goals I had for Elle & Company were very low. In all honesty, I hadn’t set many goals because I was so focused on keeping up with what others in the industry had been doing. And then Jake came in and encouraged me to set bigger goals. And by bigger, I mean uncomfortable, outlandish, seemingly-impossible goals that I would have never even considered for myself. The goals for Elle & Company are no longer tied to my field; they expand to my personal brand and other industries outside of design. They may not be accomplished this month, year, or even the next few years, but they’re on the radar and give me something to push for. Dream bigger. And I don’t mean that in a fluffy, flowery, sappy way; I mean it in a sincere and attainable way. Don’t set your sights low because you haven’t seen anyone accomplish your idea within your industry or doubt whether or not you can accomplish it. Set your sights higher. But don’t stop there. Once you’ve set those big goals, sit down and outline actionable steps that will help you achieve it. For example, we have a goal of creating a large, involved product someday (I can’t give away too many details here, so bear with me). In order for that product to be a success and bring in enough income to pay for the venture and provide an income, we need a large, engaged Elle & Company audience who would benefit from our product. So Jake and I brainstormed actionable steps to help us work toward our large goal. That’s where our journey to 100,000 unique blog readers comes in: it’s an actionable step and a smaller goal that will allow us to create and launch a successful product. But in order to bring in 100,000 unique blog readers each month, we had to create more, smaller, actionable steps. That’s where our blog content, social media strategy, and newsletter come in. While the goal seemed lofty at the outset, we’ve created actionable steps that we can implement today that will help us reach it. We’ve created a game plan. Think about your big goal and create action steps and smaller goals to help you reach it. Work your way back from that goal and find ways to start working toward it today. What was the turning point in your business? What's more important: passion, strategy, or both?